When we were in school, many of us have been taught that academic achievements would get us a secure job and a chance to "make it" in the working world. Thus the most important lessons have always been academic lessons. Some of us are encouraged to take lessons to pursue our interests -- whether it is pursuing sports or arts or just developing an entrepreneur mind etc. After we have stepped into the working world, career usually becomes the most important aspect of our life -- after all, the pressure to make it in most professions is huge. And thus, we focus on taking lessons to learn what is required in our line of work. Doctors spend time to attend continuous education classes and learn about the latest equipment. Sales professionals learn about modern marketing techniques. Computer specialists learn the new ways to make computer processes smoother and so on. As we go along, we learn about making money, keeping our job and paying bills. Have you ever learned about how to love your spouse more? How many hours have you spent -- in comparison to what you have spent in professional training -- to learn how to have a deeper relationship with your loved ones? Did you actually take lessons on how to manage your home relationships or did you kind of fumble your way through it -- with the hopes that you will have a happy marriage and a happy family? If you are still unmarried, have you found out what is within YOU that is holding you back? If you have been married for a long time, have you invested time to learn how to keep the relationship as fresh as the first day you fell in love? Do you think it is only "natural" to have little love left in the relationship after many years of marriage? When your child argue with you in important decisions, do you actually know what your child is thinking and feeling, without brushing it off as mere "generation gap?" When you get older and are ready to leave this world, what do you think would be your deepest wish at that time? Would you have wished for working more hours and making more money? Or would you have wished for more chances to love deeply? The truth of the matter is, even if you have a chance to love deeply now, do you know what is loving deeply? Hellen Chen's Love Seminar is specially tailor-made for successful working professionals to pick up the most important love lessons that they might have missed. You have taken lessons for your profession. 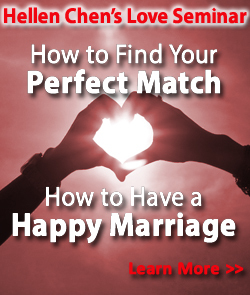 Now is the time to take the life-long lessons for being a husband, a wife and/or a parent! Hellen Chen's work in family, marriage and personal developments are featured in over 200 media publications in 18 countries including America, Taiwan, China, Spain, India, Finland, United Arab Emirates, etc. As a highly sought-after performance coach in management, leadership and human relations, Chen has been invited to lecture all over the US and Asia, helping tens of thousands people obtain simple and workable solutions to otherwise complex life problems. She has worked with top CEOs, business owners, doctors and skilled professionals who would like to improve their relationships at home. Chen has been a frequent guest on US network radio programs, and TV shows on FOX, CBS, NBC and ABC etc. The Hilton Los Angeles/San Gabriel hotel is located in the historic city of San Gabriel, 11 miles east of downtown Los Angeles. Attractions within a short drive include Santa Anita Race Track, Dodger Stadium, Hollywood Walk-of-Fame, Universal Studio, Disneyland and Knotts Berry Farm. Less than 25 miles from Bob Hope (BUR) Airport and 30 minutes away from Los Angeles (LAX) International, the Hilton Los Angeles/San Gabriel hotel is conveniently located for downtown LA and beyond. 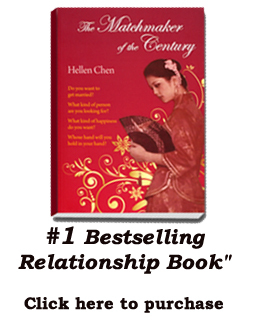 "Hellen Chen's Love Seminar covers the most important love lessons that will make marriage a happy affair again. And for those who are happily married now, this seminar will show couples how to have an enduring passionate marriage ..."
Call 800-912-0510 to register today.